This is an excerpt from the recently released Writing Advice for Teens: Creating Stories. Choosing names can be tough. On the other hand, they’re also one of the easiest things in your story to change. As William Shakespeare said in Romeo and Juliet: “A rose by any other name would smell as sweet.” What matters is the essence of the character, not what he or she is called. That said, the right name can help your reader remember physical details. For characters, if they exist in our world, use names that reflect the heritage of the main character. Nicknames can also be used to reflect a character’s personality or appearance, like Cobra, Tiny, or Shadow. Let’s say that we are thinking of writing about a red-headed girl. What do we call her, without knowing anything else? Red hair indicates an Irish heritage, so Rachel, Kate or Shannon would work well, among many others. You can search through baby naming websites for ideas, and you can often search based on country names. Rebecca laughed, her auburn hair shimmering in the sun. Her green eyes twinkled. Shane, her toddler, had just popped a bubble. He stared at his hands expectantly, shocked that the beautiful object had disappeared. His eyes welled up with tears, but then Emma, his older sister, blew more bubbles through her wand. Shane’s face lit up as he giggled at the wondrous world of bubbles suddenly around him. Here I’ve introduced three characters, but focused on each one a bit differently. As you write, I recommend that you use the first name that comes to mind. You can always change it later. If the story takes place in our world, use existing legends about faeries, ogres, and other mythical creatures. If the story takes place on an alien world or a spaceship, you can use mythology (like Greek or Norse) or scrambling words (like using Neila instead of Alien). Places can be named in a similar fashion. For another option, consider the culture of the setting you’d like to create. If the inhabitants speak in a rough and guttural language (like ogres or trolls), look at German or Russian names for inspiration. Alternatively, if the inhabitants speak in a smooth and flowing language (like elves or faeries), you might look at the romance languages (French, Spanish, Italian) for inspiration. What about you? What strategies do you use to come up with names within your stories? Want more? 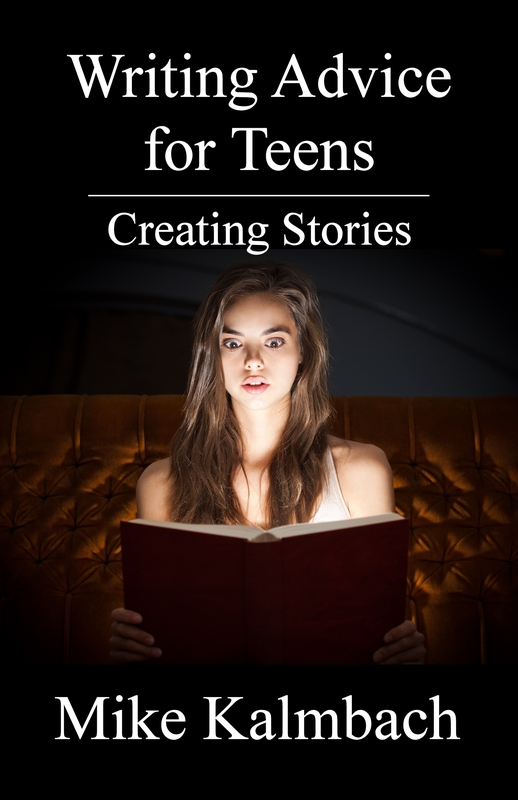 Order Writing Advice for Teens: Creating Stories today!